Cool Nutz is like a living Portland legend in quite a few different ways. Having been in the hip hop game since the early 90s is one thing, but having started in it and stayed it in a place like the Pacific Northwest is a whole other feat not many can say they've really accomplished. Aside from its hipster kitschiness and bountiful nature, Portland is also known for it's lack of demographic diversity, in race and in its predominant music offerings. 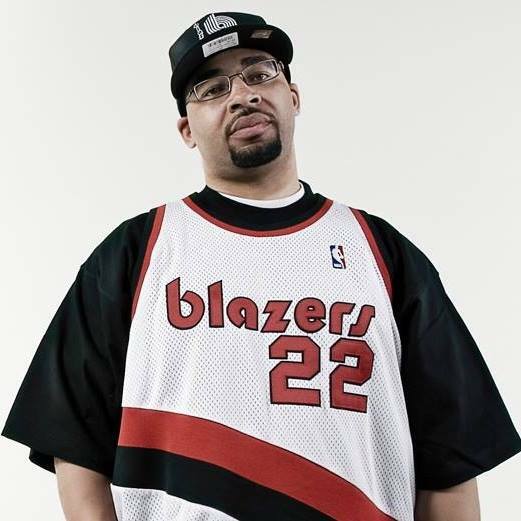 That's been steadily changing throughout the years, and Cool Nutz is definitely one to be credited in making Portland hip hop a blip on the international map. From his first release in 1993 up until now, Cool Nutz (born Terrance Scott) knew exactly what was required to keep his head above water in the game. Not only did seek and succeed at doing his best in the rap game but he's also established himself as an accomplished businessman as well. On top of sharing the stage with other influential rappers like Mac Dre, Wu-Tang Clan, Ice Cube, Bone Thugs N Harmony and more, Cool Nutz directed arising lulls or lows into other profitable endeavors. Having a steady gig hosting The Breakout Radio Show on iHeart Radio, doing "Playlist" with Portland Trailblazers shooting guard CJ McCollum and establishing the Oregon Hip-Hop Festival, Cool Nutz never let's anything stop him or bring him down. Seeing Cool Nutz's success along with his energy and perseverance is inspiring to Portland's hip-hop and black community. During his live performances, he exudes a pride and confidence that makes him all the more enjoyable to see. Catch his one SXSW on 3.16 at Buffalo Billiards.